This beautiful New York farm house has the most delicious interior. The colours are glorious ; confident, happy, summery, and playful. What’s so nice about this whole ensemble is almost the contradiction between the built form and its interior colour scheme. Whilst the architecture (by Sharon Architects) is traditional, the interiors tread a continually wobbling line between the presumed country house aesthetic and a much more vibrant edge. I just love this. I often think that I’d love to have a big old tradtional country house, and then I realise that I’m just not really that way inclined. I could certainly live with classic, subdued interiors and elegant finishes for a time, but I know that deep down, soon enough, it’d all just begin to feel a bit too reserved for me. Well, have I found the answer in Rafe! This month a very calming and demure interior resultant of another successful collaboration between Robson Rak Architects and interior design firm Made by Cohen. Elwood House is a soothing retreat that draws upon classic interior elements and combines them with a light, contemporary touch to create spaces that feel warm and weightless. Sometimes I find myself drawn to strange things when I’m writing this segment. I begin to notice myself veering off in unpredictable directions and toward completely out of character destinations. It’s a strange phenomena that I can’t fully explain, except in the sense that there’s a lot of room to move in simply thinking about things for pleasure, and not having any further obligation to dissect, interpret, comprehend, or apply them. After years at university doing exactly this to exactly everything I looked at, these days I feel a great freedom to simply open up to things without any further underlying intention other than enjoyment. I think this place is one of those things. 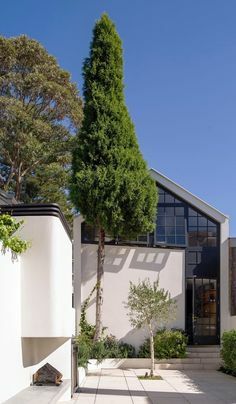 In fact I recently went for a drive up through Merewether Heights and was reminded by a few examples along the road of just how good a good 1960’s house can be, so when I came across this I thought it would be a nice thing to explore. The architect is unknown, yet the house certainly speaks a clear language. I think what I like most about the house is that it would only work in this location. 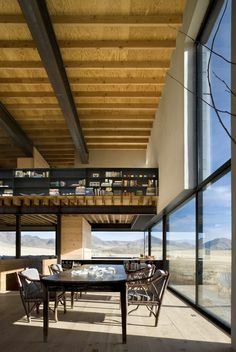 It’s very site specific, both in terms of its plan, landscaping, and interiors, and I think that this quality is always a sign of good architecture and interiors.Never, ever, would I normally advocate a high gloss interior floor tile, and yet here, in the arid heat, I think it’s perfect. 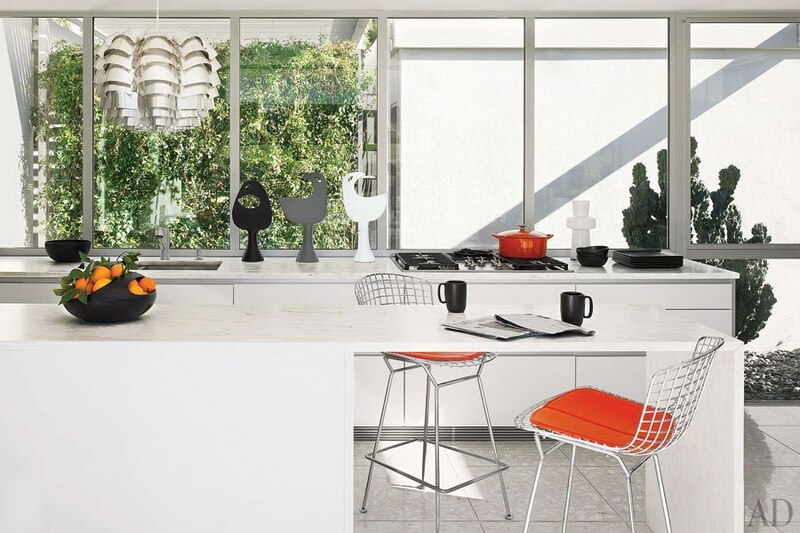 Rarely, if at all, would I consider cool white, mint green, tangerine, and sunshine yellow a sensible or appealing interior colour palette – and yet here, it seems quite right. The whole house exudes a real sense of laid back sophistication and summery, linen-clad days by the pool. 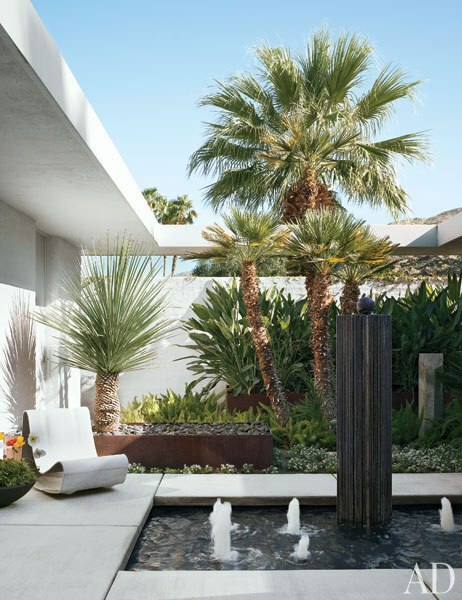 I feel like if I lived in Indian Wells, California, I would rather fancy stepping out from my usual self and spending my days in a place like this. Evidently, this segment is becoming more and more inclusive, where I used to focus on a room, I then moved to covering entire interiors, and now I can’t help but just make it an all-encompassing look at a whole house. Having said that, there’s certainly a more light-hearted approach to things here than in House of the Month (for reasons explained above), but it’s becoming ever more clear that a house really should have a sense of character than runs through it’s entirety in order to properly make sense, and I think that’s another reason that this place seems to sit so nicely in the realm of successful space. 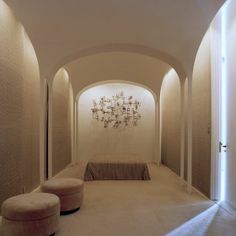 It has a very simple design aesthetic which gives great clarity to the building, and certainly helps to instate the strong sense of calm that so readily envelops it. I’m so glad that Emily Summers and her husband rescued this place from its 80’s deformations and reinstated its classic 60’s beauty, because it sure does look lovely now. In many ways then, it’s not surprising that lighting is such a fascinating and delicious thing to all of us. 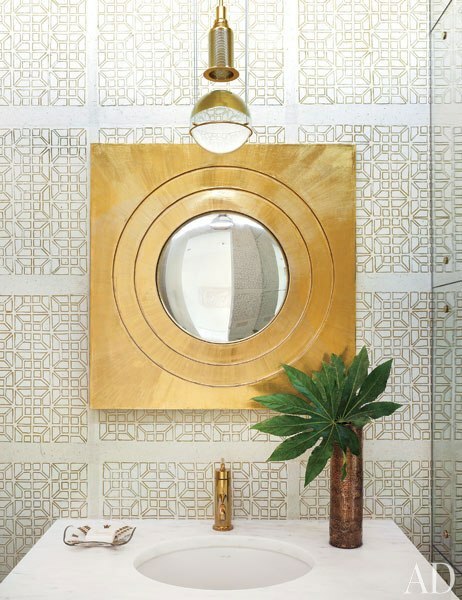 It doesn’t t simply come down to the form of the object itself either – as designers and live-rs in this world we know and want for the power of inviting, soul-warming light, and we know that there is no such thing a a meager substitute for a perfectly lit room. 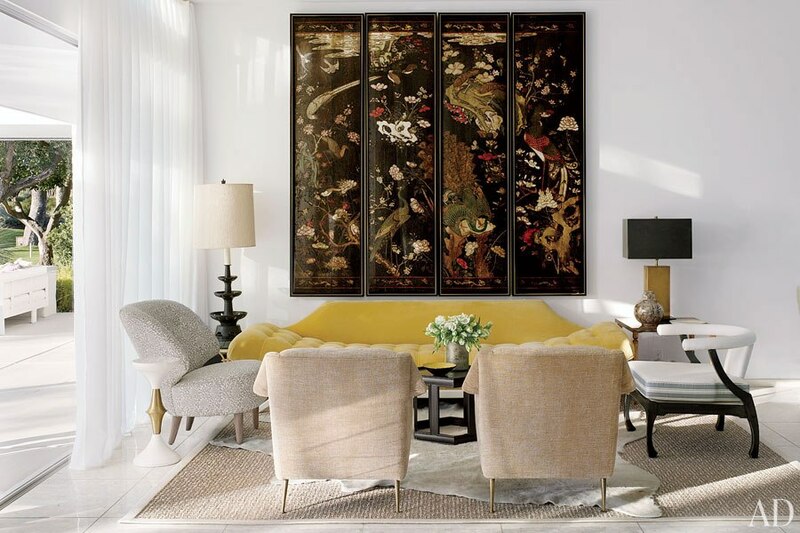 This month’s room is a dining and lounge in a meticulously renovated Chicago apartment building, interior designed by Michael S Smith, with interior architecture by Marvin Herman. With a portfolio of wonderfully elegant and warm interiors, Michael’s work incites a sense of restful calm and clarity, whilst also ensuring each space distinct character and originality.